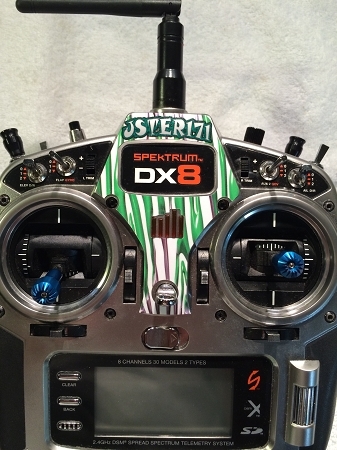 This overlay fits the Spectrum DX8 radio. You have your choice of 4 designs and can add YOUR "PILOT NAME" at the top of the overlay as seen in the photos. 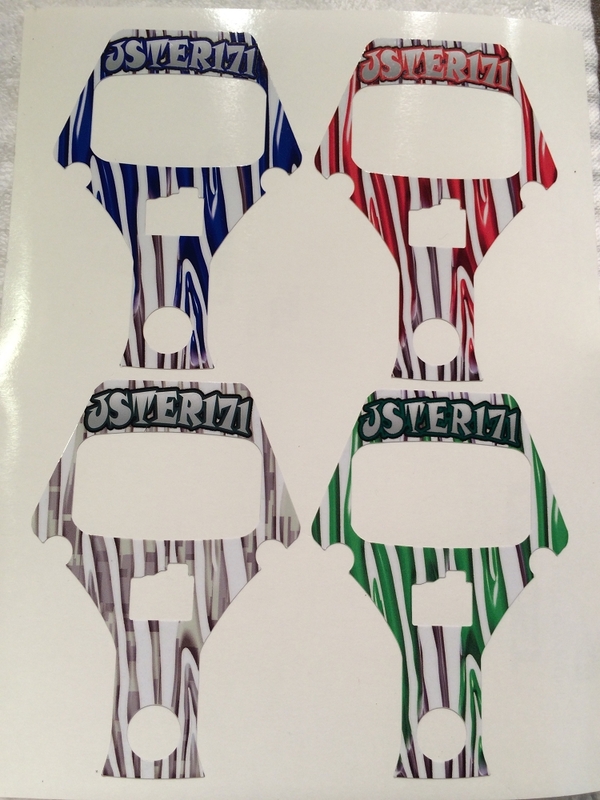 The photos illustrates the RED,BLUE,DIGITAL CAMO and GREEN designs. Give me your pilot name and design choice at the time of checkout.